Press Release – Kingston Technology Company, Inc., the independent world leader in memory products, continues to celebrate its 10th HyperX anniversary with two announcements at 2013 International CES: the launch of the Kingston HyperX 10th Anniversary Edition Memory and the finale of the HyperX 10th Anniversary StarCraft II Tournament. 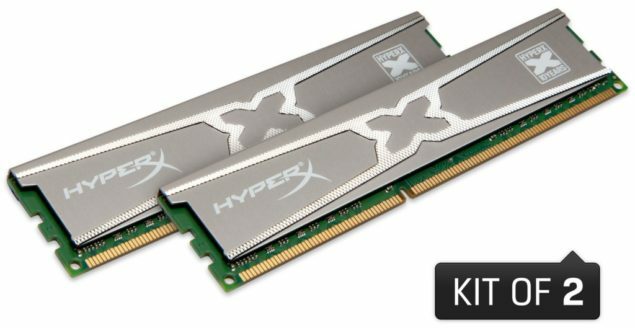 With its elegant silver heatspreader, the new high performance Kingston HyperX 10th Anniversary Edition Memory complements the latest PC hardware and takes on serious workloads or the most intensive games. It is perfect for gamers, enthusiasts, overclockers and PC modders. With its low profile, HyperX 10th Anniversary Edition Memory fits under oversized CPU coolers and offers enhanced thermal dissipation for long-term reliability. The Intel XMP ready memory easily achieves best performance optimization by simply selecting a speed profile in BIOS ― with no need for manual adjustments.